Morris Investigations specializes in difficult surveillances. Each investigator has all the latest high tech video equipment and digital still cameras with long lenses available at all times. Surveillances can be arranged to meet your needs and produce the results you require. Assignments have come directly from Firemans Fund, Liberty Mutual, Nationwide, State Farm, Farmers, American Century and many others. 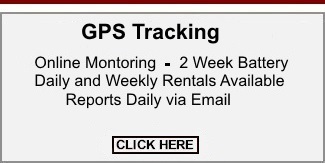 There is a four (4) hour minimum charge for all surveillance assignments. A $1,000.00 retainer is suggested for all domestic surveillances. The unused portion of the retainer is refundable. There will be no real time reporting during surveillances without special arrangements. A verbal report will be provided the following day along with a written report and video if requested. For usage regulations, requirements and details, call us at 281-358-1151.